The Hazel Dining Chair from Moe's Home Collection serves as a wonderful addition in any modern or retro dining room. This luxurious chair boasts cool gray upholstery that is both functional and fashionable. Plus, the chair features a sleek, comfortable foam seat and back as well as black powder coated legs that will dazzle day after day. For those who demand a top-notch chair that will serve them well for an extended period of time, the Hazel Dining Chair offers a superb option. 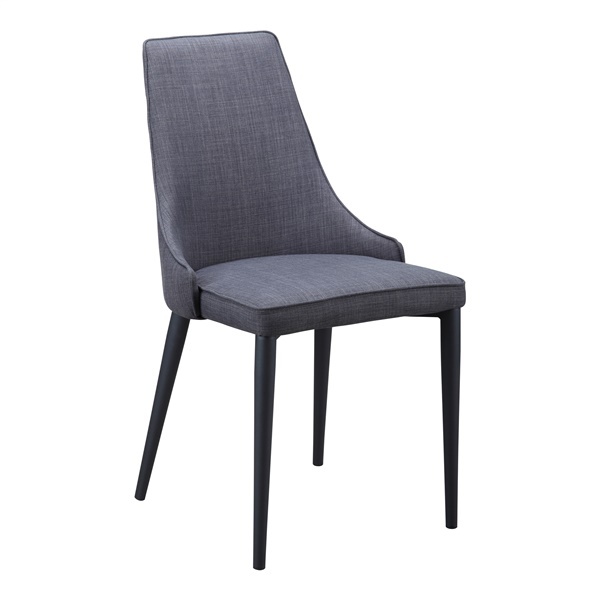 Sleek, elegant design makes the dining chair a wonderful choice in a contemporary dining room or kitchen. Black powder-coated legs offer a great mix of form and function. Strong, versatile metal frame delivers outstanding value. Cool gray polyester upholstery is stylish and provides maximum comfort.